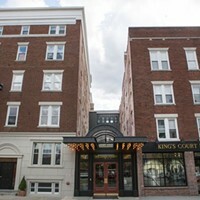 Like many of the tenants at Atlas Studios, Thomas Wright and Joseph Fratesi moved their business from Brooklyn. 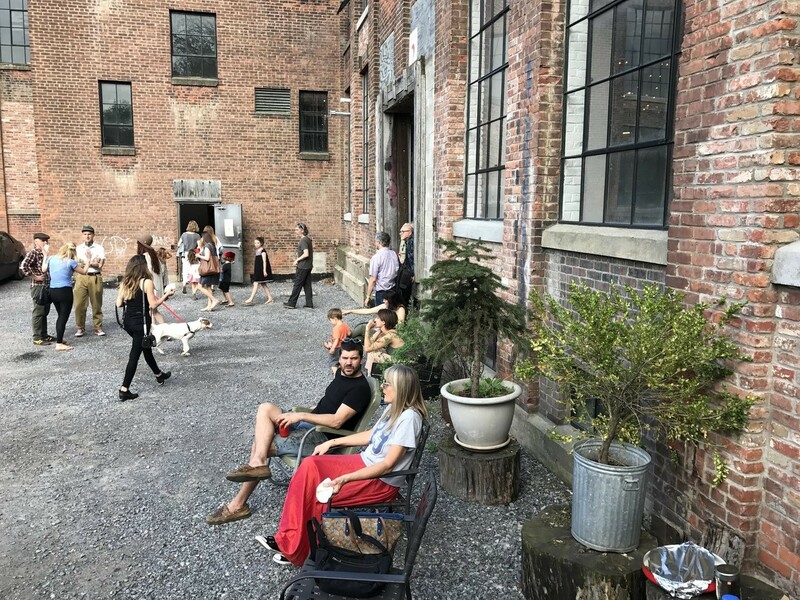 Owners of design and manufacturing firm Atlas Industries, Fratesi and Wright were looking for more space after 22 years in Gowanus. 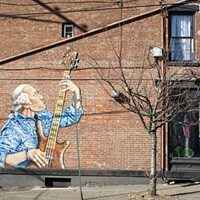 In 2013, they bought and moved into a 55,000-square-foot warehouse off of Liberty Street in Newburgh that once housed a large-scale textile manufacturing operation. With their own firm, Atlas Industries, as the anchor tenant, the pair sought out creatives to occupy the rest of the building. The building also has a large gallery space where concerts and other events are held. 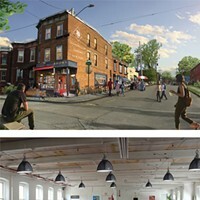 On December 15 and 16, Atlas Studios will host its annual Winter Market, showcasing local makers and designers, many of whom work in the building. 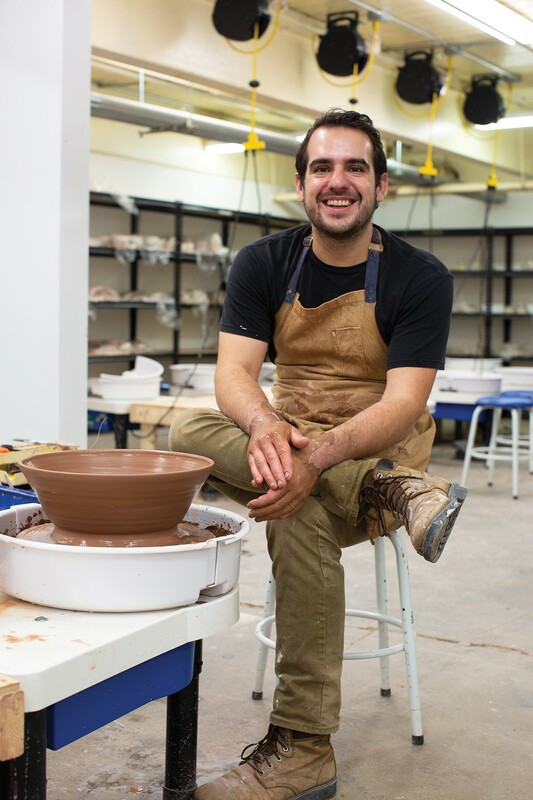 The weekend will include demos with The Newburgh Pottery, workshops with Steve Gerberich, Hudson River Bindery, and other artisans. See the full list of Atlas Studios tenants. 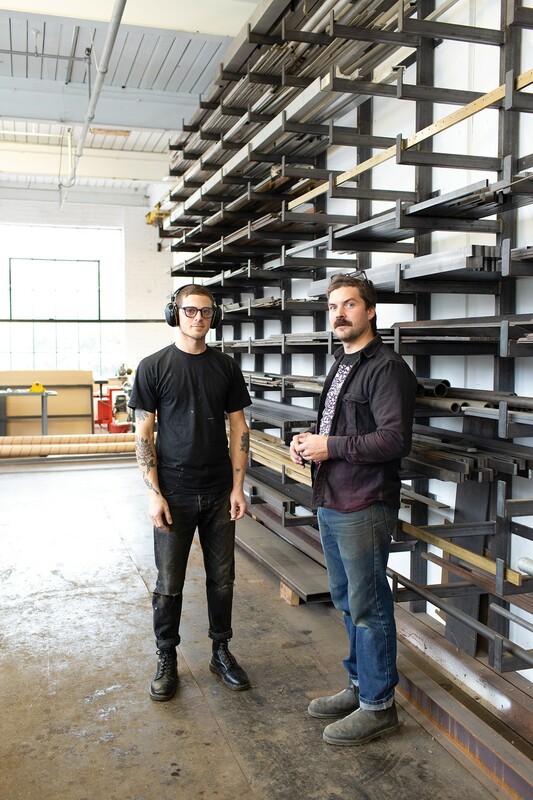 Winston Ragle and Justin Catania, Atlas IndustriesFounded in 1993 by Thomas Wright and Joseph Fratesi, Atlas Industries is a multi-disciplinary design and manufacturing firm integrating interiors, furniture, and objects in a craft-based sensibility. Atlas’s portfolio includes a wide range of work—custom cabinetry, custom millwork, modular office design, handmade furniture—but it’s best known for its signature as4 modular shelving, whose understated elegance and clean lines have made it a favorite of designers. Matt Kinney, SculptorMeet a man obsessed with tools—a man who carves simulacra of tools out of wood with woodworking tools. 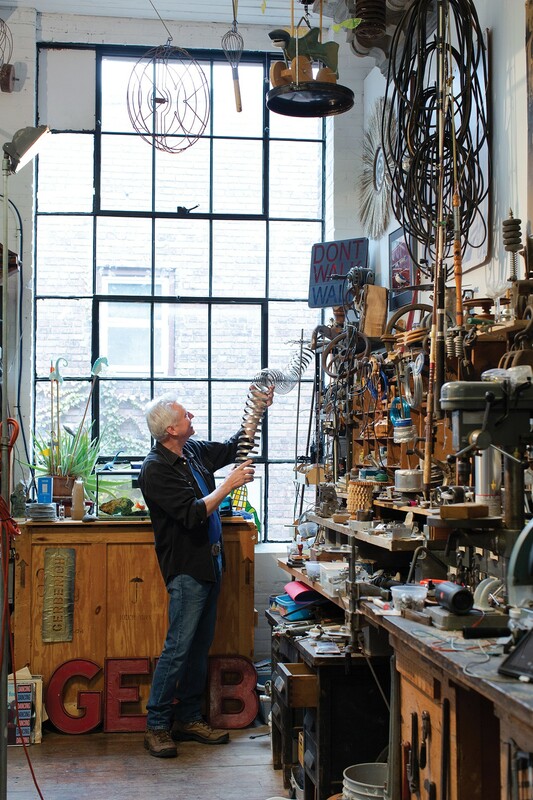 Kinney, who’s worked in the construction industry, has created hyper-realistic versions of the carpenter’s arsenal. Think of them as Platonic ideals of tools—perfectly crafted, never-to-be-used abstractions of lesser earthly materials. 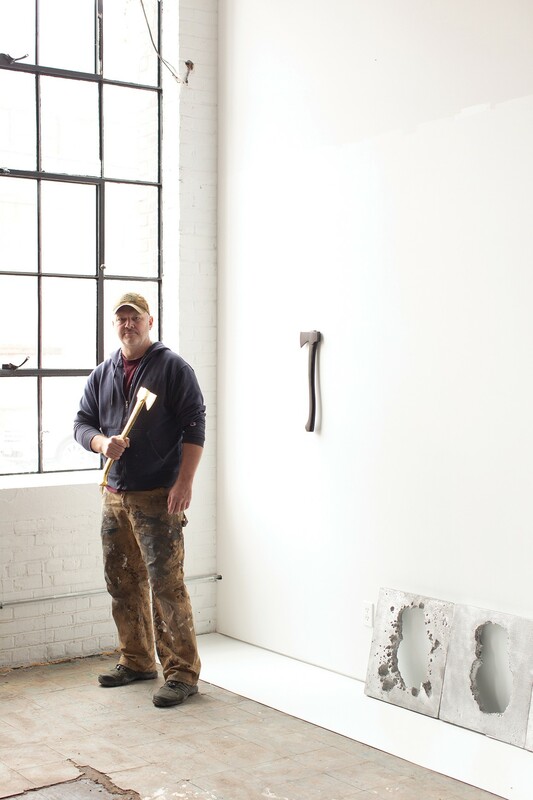 Kinney’s ebony sculptures—axes, pliers, hammers, saws, wrenches, even a tool belt—explore what happens when humble subjects receive exalted treatment. 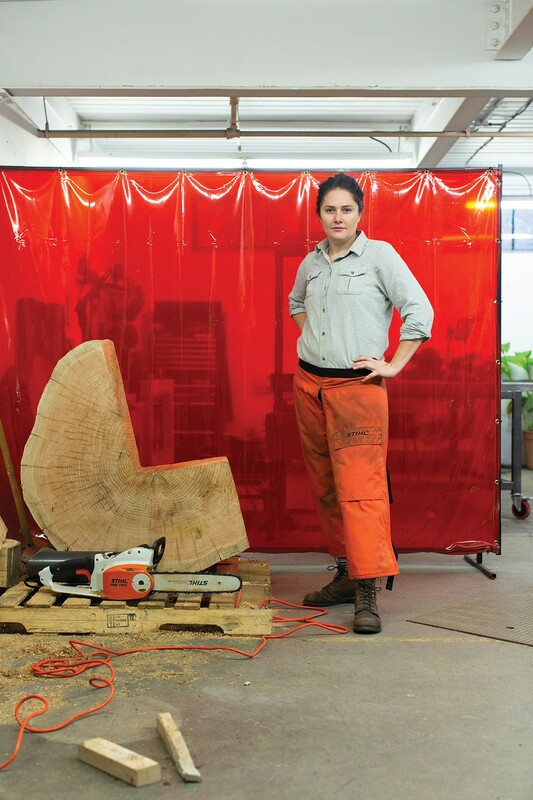 Hannah Vaughan, Furniture Designer“I’m a little chair obsessed,” says Hannah Vaughan, who’s busy creating a series of rough-hewn chainsaw chairs in her studio. Often inspired by salvaged materials, Vaughan has also created seats out of crushed cars. Working more on the sculptural side of furniture (read: expensive) than the functional end, Vaughan has also created an affordable chair kit. Based on Shaker design, the Hands to Work chair is a bundle of wood wrapped in rope, which is the seating material. It’s simple, functional, and $170. “I wanted to make something that my friends could actually afford,” says Vaughan. 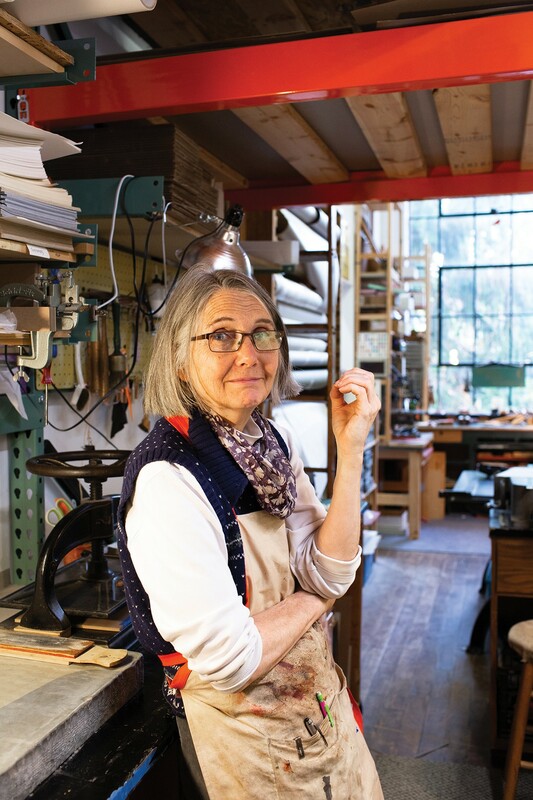 Alice Vaughan, Bookbinder “There’s a different kind of glass ceiling in craft,” says Alice Vaughan of Hudson River Bindery. “Craft requires x number of hours to do something and you can’t make it go faster.” The day we spoke, Vaughan had on her workbench an artist’s book from the 1700s that she would spend countless hours taking apart and reassembling. The next book up after that is a dog-chewed copy of the Big Book, the basic text for AA. “I work on everything that comes through my door, from the sublime to the ridiculous,” Vaughan says. 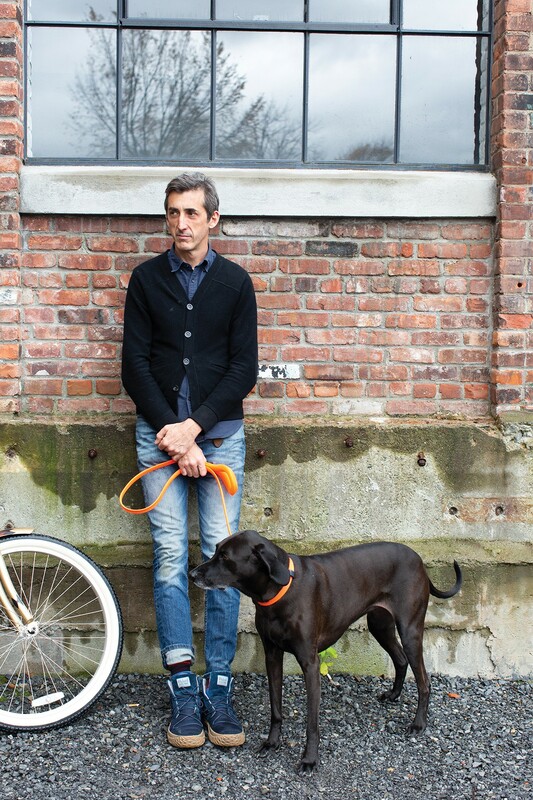 Aaron Lown, Product DesignerAfter living with his dog Starlite for a year, Aaron Lown realized that there was room for improvement in dog collar design. Lown asked himself the question, “If I had to wear a collar, what would I want?” The result is the UnLeash and CollarLess, a circular braided monofilament leash and collar set made from PET plastic that’s lightweight, strong, and comfortable on the neck and hand—innovative products for dogs that are stylish and performance-driven. Vuff.com.